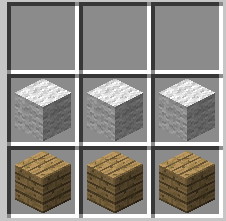 Bed can be used for various things in Minecraft. Once placed on the ground players use it as decoration. It also can be used to have the player sleep and skip the rest of the day until dawn. A third use for a bed is to reset your spawn point to where the bed is located. Further information the item Bed can be found in How to make a Bed in Minecraft.